One more makes four....hmmm, let's make that FIVE!!! : China or Bust!!! We leave tomorrow! That statement makes my palms sweat...no kidding, it really does!! We are mostly ready, not to much panic today...absolutely busy, but not panic...it's been nice in a way to plan and fly out of hear without a cloud of dust and a trail of chaos behind us like last time. I'm nauseated over leaving the kids...I will miss them to the point it will physically hurt just like last time. But we are soooo blessed and fortunate to have such wonderful friends and family helping us. I've dubbed them "Team Lexington" and I LOVE you guys!!! I know they will be well loved and taken good care of!! and Will...just a wish and a dream for so long and now such a close reality. We are feeling all the normal emotions. It's nice to have gone through this before and to know this IS normal! OH SO excited, nervouse about the unknown, scared to death to the point I want to curl up in my bed and hide...That seems so strange to say for as long and hard as we've worked, but so many of us feel it, and I know my adoption friends get it, and those of you who haven't traveled yet when you feel like barfing on the way to the plane..IT"S NORMAL, so don't worry! It doesn't mean you won't love your child or you deep down aren't cut out to adopt. It just means we are jumping into something wonderful scary and unknown, and we are some trusting blessed crazy fools ;) Pray for us!! I am SO happy that you are FINALLY at this point! It is hard to believe you are going to see and, hopefully, hold OUR little one! I can hardly wait to see photos of you holding Will! Safe travels! Our prayers are with you and your family! Yay!! That first statement made my stomach do a couple of 360's!!! I SO get it!!! I am SOOOOO excited!! Can't wait!! Safe travels, friend!! I cant beleive it is finally here! I will see you at the Crown Plaza!!!! My schedule says we go to the orphanage to meet Luke (we requested to go, he has lived there for 10 years of his life I feel we must see it!) We arrive in Jinan on the 16th at 9:30 am and are supposed to go straight to the Crown (which looks so fancy smancy to me, we sooo brought bathing suits and plan to swim in the really cool looking heated pool as much as we can, since it is freezing there). Cant wait to meet you and hear about the start of your journey and until we finally meet our boys!!! Myra, Before you laugh at me, I know I wont see you at the Crown.. I am definitely suffering from China Syndrome haha, cant think! I will meet you in Guangzhou....!We get there on the 21st! Ay-ay-ay! Exciting, scary, exciting, scary, such a roller coaster ride. Bon Voyage! This post made me smile - all of the excitement and nervousness is so real and makes meeting the newest love of your life so much more beautiful. I'll keep all of you in my prayers. I'm a new "friend" who got your address off the SB Yahoo Group. Looking forward to following along with you. 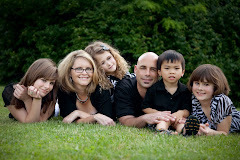 Oh - and just in case you hadn't heard - a paper ready family has stepped up to adopt Davids from Latvia! You and your family (on both sides of the world) are in my prayers.